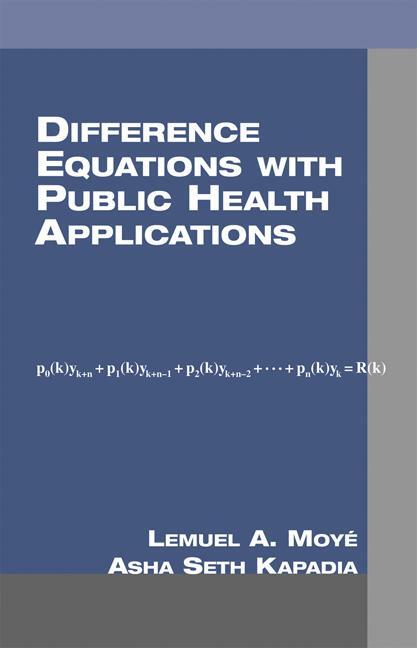 This study of difference equations with public health applications develops the methodology for the solution of the general kth order linear difference equation using the generating function approach. It includes an examination of the dynamics of disease spread and containment in populations using illness-death models. There are over 1000 featured mathematical expressions.